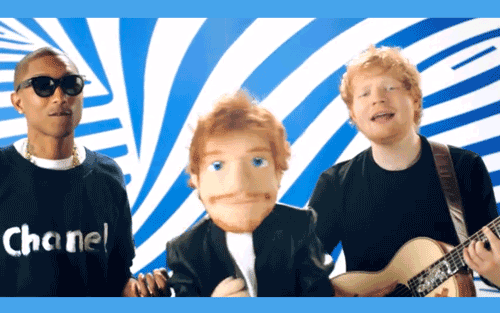 You can sure hear Pharrell's influence all over Ed Sheeran's new single "Sing"and while that's not a bad thing the result of their collaboration is. It's such a waste when two talented artists such as Ed Sheeran and Pharrell link up and turn out a generic Pop jam like "Sing". This could have easily been one of Pharrell's own songs and judging by the key that the chorus is sung it probably was before Sheeran rocked up. "Sing" will be released on June 1st and you can pre-order it now on iTunes. Ed Sheeran's new album X will be released three weeks later on June 23rd and you can pre-order it now on iTunes.